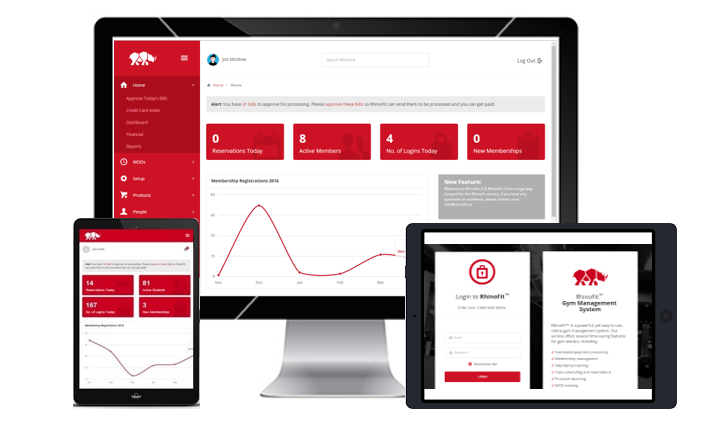 RhinoFit is valued packed management software designed for all types of fitness and member business models such as gyms, dojos, bootcamps, boxing gyms, crossfit, sports facilities, and personal trainers. 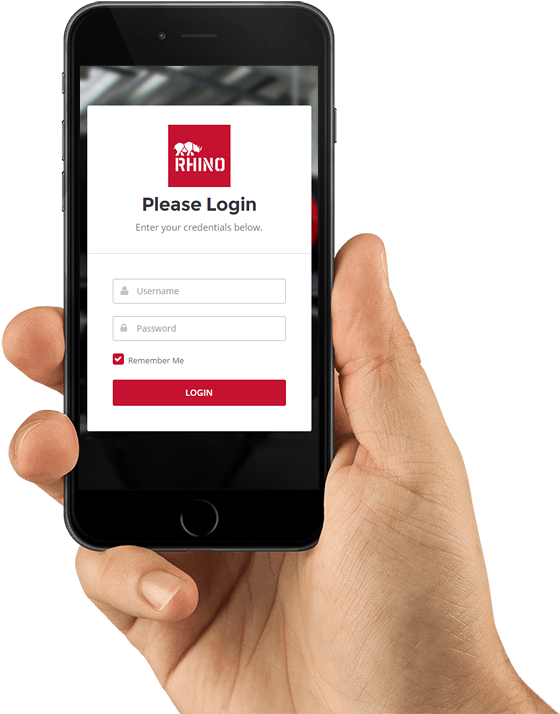 RhinoFit provides all the membership management tools you need to run your business smoothly and efficiently, saving time and money. Set up and embed your class calendar on your website so that your members can reserve classes online or through their mobile app. Create custom memberships & bill your members automatically with our integrated payment processing. Set up automatic reservation reminders and custom automation messages to go to students and staff through our e-mail and SMS system. The RhinoFit software is competitively priced at $57CAD monthly. Want a personalized demonstration of our gym management software? Let RhinoFit™ do the heavy lifting! Set up your RhinoFit account in less than 6 and a half minutes! Available in Canada and the U.S.
Run your gym or dojo on the go with the RhinoFit iPhone and Android apps. The mobile app also provides your client’s with access to scheduling and paying.